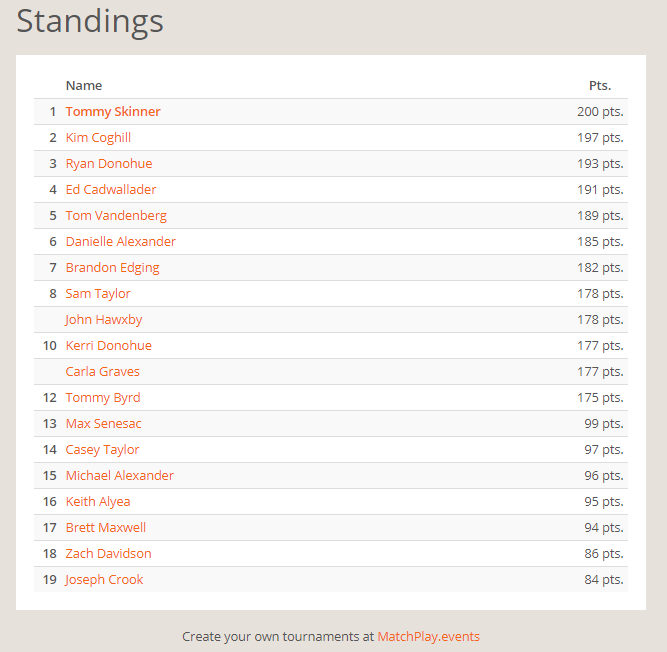 After Brandon Edging submitted a monster score on Congo last night the standings have changed! Remember you have until the end of the month to submit scores for Congo and Fish Tales to be in the tournament. You can play any time and as many times as you want, just snap a picture of your score. You can submit the picture of your score here, or if you are having any trouble with that text me, email me, or facebook message me the picture and I can get it updated for you. All the money earned from Congo and Fish Tales this month will go into the prize pool for the finals at the end of the month, as of right now it is already up to $110! The top 8 players make the finals, and the top 4 get payouts, 50%, 25%, 15%, and 10% of the prize pool. The finals will be on Sunday, December 2nd at approximately 4 PM. Get those scores submitted!